Dixon's Darling Dynamos: Twinkle Loves to Have Her Picture Taken! Wowie, wow, wow! 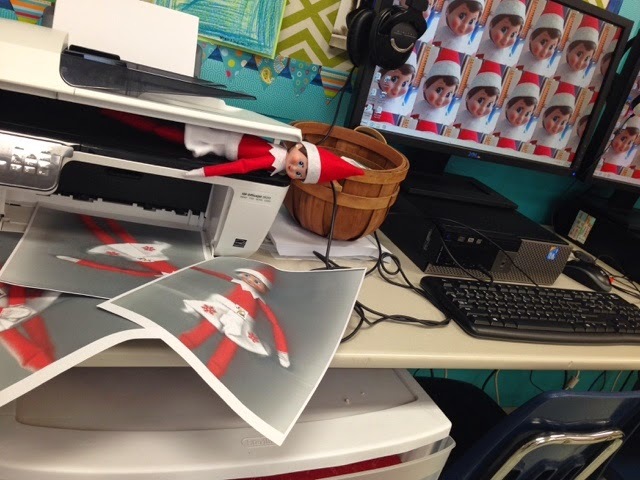 When the kids and I got to school today we found that Twinkle had been up to some shenanigans again last night! 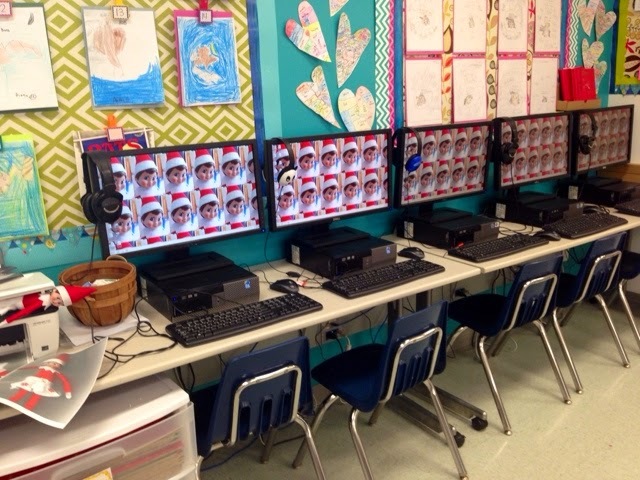 Her antics include changing ALL of our computer backgrounds to pictures of her and then she crawled into our copiers and took pictures of herself! I bet Santa will have a lot to say to her over the weekend. Also, it looks like Twinkle took our letters to Santa because they weren't here when we got in today. I wonder if she'll bring them back over the weekend?